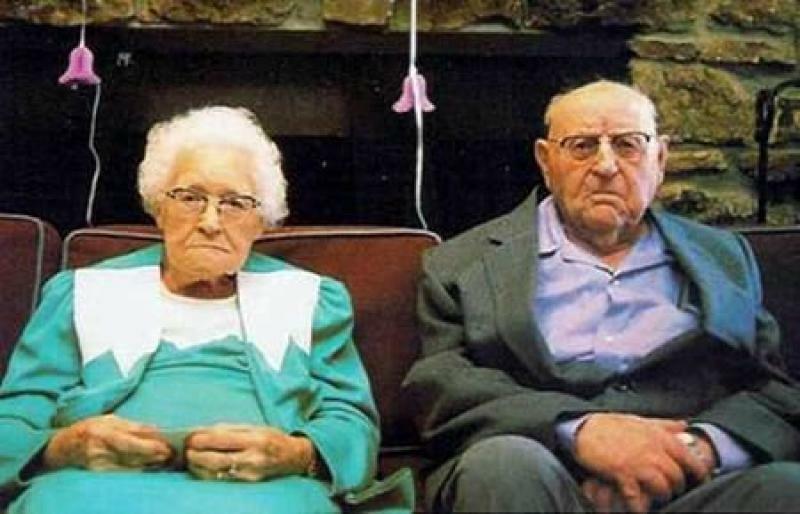 The couple were 85 years old, and had been married for sixty years. Though they were far from rich, they managed to get by because they watched their pennies. Though not young, they were both in very good health, largely due to the wife's insistence on healthy foods and exercise for the last decade. One day, their good health didn't help when they went on a rare vacation and their plane crashed, sending them off to Heaven. They reached the pearly gates, and St. Peter escorted them inside. He took them to a beautiful mansion, furnished in gold and fine silks, with a fully stocked kitchen and a waterfall in the master bath. A maid could be seen hanging their favorite clothes in the closet. They gasped in astonishment when he said, "Welcome to Heaven. This will be your home now." The old man asked Peter how much all this was going to cost. "Why, nothing," Peter replied, "remember, this is your reward in Heaven." The old man looked out the window and right there he saw a championship golf course, finer and more beautiful than any ever-built on Earth. "What are the greens fees? ", grumbled the old man. "This is heaven," St. Peter replied. "You can play for free, every day." Next they went to the clubhouse and saw the lavish buffet lunch, with every imaginable cuisine laid out before them, from seafood to steaks to exotic deserts, free flowing beverages. "Don't even ask," said St. Peter to the man. "This is Heaven, it is all free for you to enjoy." The old man looked around and glanced nervously at his wife. "Well, where are the low fat and low cholesterol foods, and the decaffeinated tea?" he asked. "That's the best part," St. Peter replied. "You can eat and drink as much as you like of whatever you like, and you will never get fat or sick. This is Heaven!" The old man pushed, "No gym to work out at?" "Not unless you want to," was the answer. "No testing my sugar or blood pressure or..."
"Never again. All you do here is enjoy yourself." The old man glared at his wife and said, "You and your bran muffins. We could have been here ten years ago!" A man without a woman is like a fish without a bicycle.